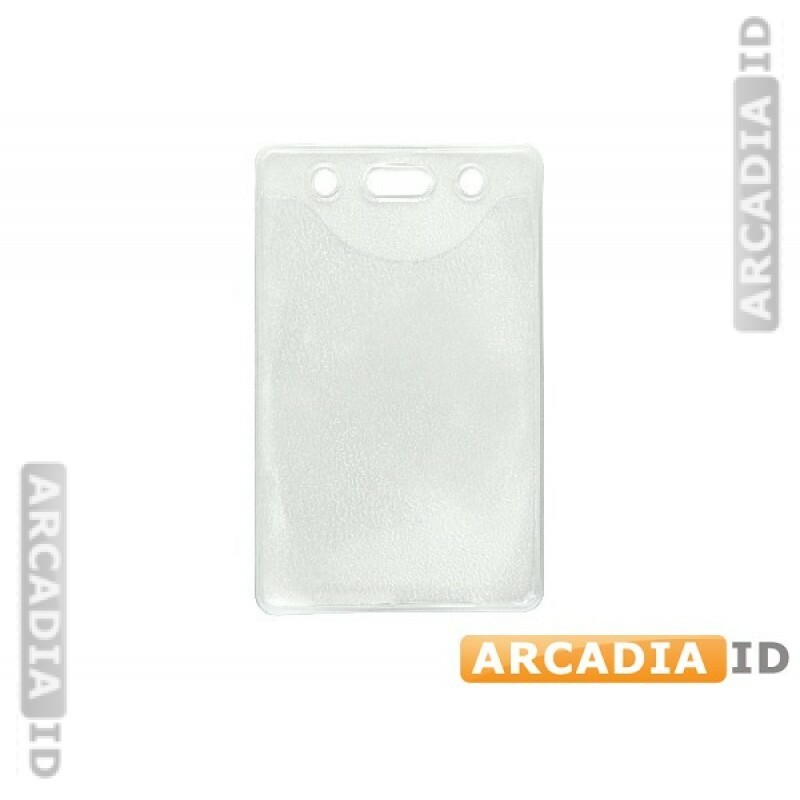 Clear vinyl ID holders with slots and chain holes. This model is vertically oriented but these are available in either portrait / portrait orientation. They are great for securing your cards and preventing bending. Vinyl is ideal for tough resilience without a sky-high price. For all other photo ID materials for low prices be sure to browse our other items.